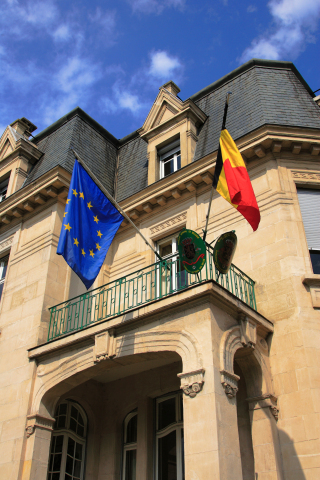 BRUSSELS & PARIS--(BUSINESS WIRE)--Present in 132 embassies worldwide, the 3,000 employees of the Belgium Federal Public Service of Foreign Affairs support and represent Belgian citizens anywhere in the world. Increasing use of mobile devices amongst senior officials made mobile security a priority, especially as these devices are frequently targeted to steal information. The challenge for the IT department was to give employees mobile access to governmental resources, while preventing information and assets from falling into the wrong hands. The Belgian MoFA chose Orange Business Services to secure mobile devices with its advanced Mobile Device Management solution, based on the MobileIron platform. Initially supporting around 500 devices worldwide, Orange Mobile Device Management is managed and hosted in the Orange Cloud. The solution extends existing desktop and laptop security policies to smartphones and tablets, including corporate- owned or personal devices, without compromising the organization’s security policies. It is key step creating a secure mobile workspace as part of the digital transformation of the Ministry. Through Orange Mobile Device Management, the IT department is able to define mobile policies, such as access control and security roles for staff members – irrespective of whether they use iOS, Android or Windows mobile devices. The solution also ensures that only devices that comply with corporate policies are able to access email, critical applications and data. Moreover, the Belgian MoFA is able to consolidate and simplify its mobile footprint with a single end-to-end solution that covers all of its many worldwide locations. “To serve Belgian citizens worldwide means not risking sensitive data, particularly when devices are lost or stolen. It means knowing when and how to provide secure access to data and being able to create different user groups with diverse functionalities. We chose Orange Business Services to help us protect sensitive information with a solution that provides excellent flexibility, scalability and global reach. The ongoing training they provide is also vital to deal with the complexity of mobility, allowing us to adjust our security policies to meet future requirements,” says Jorg Leenaards, CIO, Belgium Federal Public Service of Foreign Affairs. “Management and protection of corporate data on mobile devices is a top priority for multinational corporations and public entities such as the Belgian MoFA, and they selected Orange Business Services to deliver a managed service for this sensitive project. The winning factor in choosing Orange was that the Orange Mobile Device Management solution is extremely safe and enables employees to securely access corporate data from any smartphone and any tablet. This is a key step in the digital transformation of the Belgian MoFA, and we will be providing the Ministry a fully managed and virtualized office environment in the near future,” said Helmut Reisinger, executive vice president, International, Orange Business Services. Orange Business Services, the Orange branch dedicated to B2B services, is not only a telecom operator, but also an IT solutions integrator and applications developer in France and around the world. Its 20,000 employees support companies in all areas of their digital transformation: mobile and collaborative workspaces; IT/cloud infrastructure; fixed and mobile connectivity; private and hybrid networks; applications for Internet of Things, 360° customer experience and Big Data analytics; and cybersecurity thanks to dedicated experts and infrastructure to protect information systems. More than 3,000 multinational organizations and 2 million SOHOs, enterprises and local authorities in France rely on Orange Business Services as their trusted partner. Learn more at www.orange-business.com or follow us on LinkedIn, Twitter and our blogs. Orange is one of the world’s leading telecommunications operators with annual sales of 39 billion euros in 2014 and has 156,000 employees worldwide at 31 December, 2014. Orange is listed on the NYSE Euronext Paris (symbol ORA) and on the New York Stock Exchange (symbol ORAN). Orange Mobile Device Management secures mobile device access to messaging systems, applications and data to prevent data loss and theft for Belgium's diplomats.